ESA’s Rosetta spacecraft, launched in 2004, is set to awake from its extended deep-space hibernation in less than 40 days as it nears its ultimate destination, comet Churyumov-Gerasimenko. Teams at the Toulouse Space Centre are preparing for the encounter. Rosetta has already travelled 6 billion km on its journey to comet Churyumov-Gerasimenko. Credits: CNES/EKIS France, 2013. Launched in 2004 from the Guiana Space Centre, Rosetta has received 2 gravity assists from Earth and one from Mars to speed it on its way, travelling a mind-boggling distance of 6 billion km. During its odyssey, the probe has also flown twice through the asteroid belt between Mars and Jupiter, sending back stunning pictures of Steins in 2008 and Lutetia in 2010. 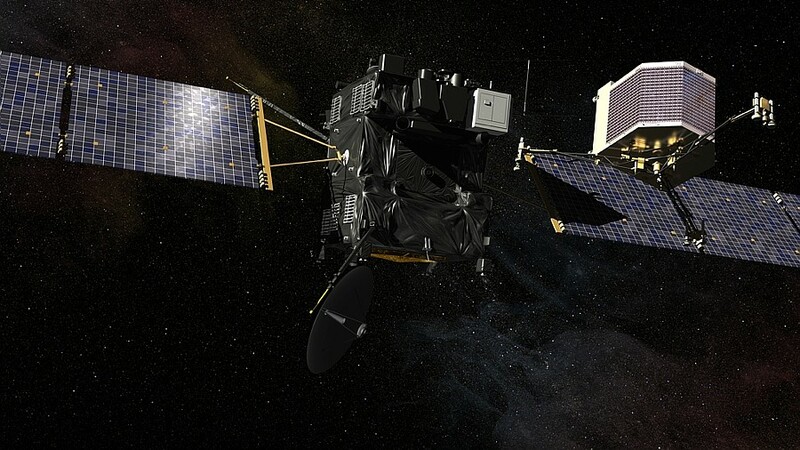 Rosetta went into hibernation in 2011. Credits: CNES/EKIS France, 2013. In June 2011, it was put into hibernation for the longest and coldest leg of its circuit of more than 800 million km around the Sun, not far from the orbit of Jupiter. The satellite was oriented so that its solar arrays - the largest ever sent into space - were facing the Sun to catch as much light as possible. It was then put into a slow rotation mode to keep it stable. SONC in Toulouse. Credits: CNES. Rosetta’s internal clock is set to wake it up at 10:00 UTC (11:00 CET) on 20 January 2014. 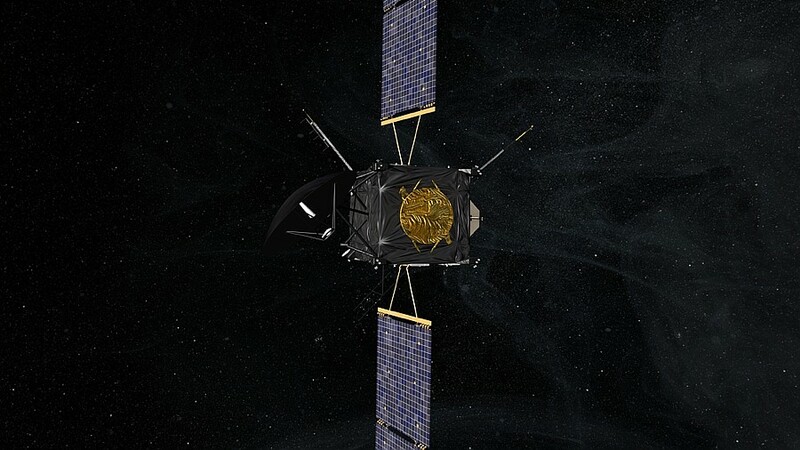 The probe will then warm up its navigation instruments, stop rotating and point its main antenna toward Earth to confirm its status after this long hibernation to the mission team on the ground. Rosetta requires close coordination of no fewer than 4 mission centres: ESOC in Darmstadt, Germany, for Rosetta orbiter operations; ESAC near Madrid for orbiter science operations; LCC in Munich, Germany, for the Philae lander; and SONC1 in Toulouse. Rosetta’s Philae lander is scheduled to separate from the orbiter and touch down on the comet in November 2014. CNES/EKIS France, 2013. “Our mission is to calculate the trajectories required to allow Philae to land safely on the comet, to plan and track science operations and to process and archive the science data collected,” explains Cédric Delmas, SONC operations manager at CNES. 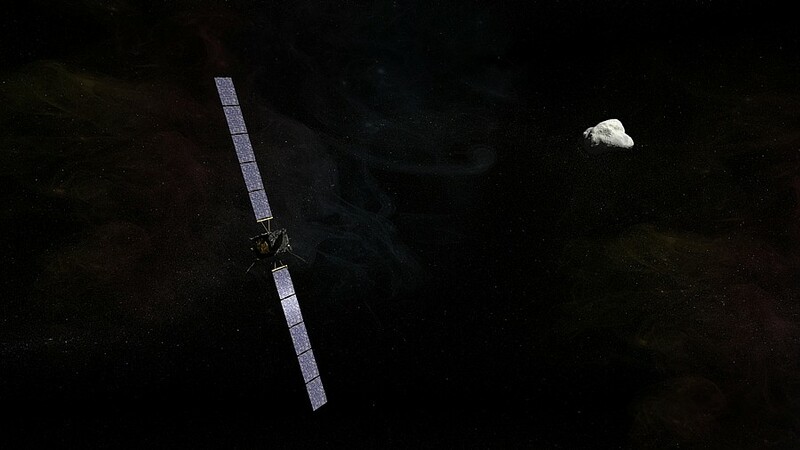 One of the mission’s main objectives is to land on the comet and explore it in detail, a world first. The next step for SONC will be to check out the health of Philae’s instruments on 28 March 2014. 1 Science Operations and Navigation Centre.